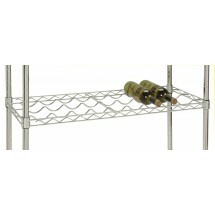 Depending on the size of the area you set aside for wine display and storage, you can find the wine rack perfect for your food establishment. 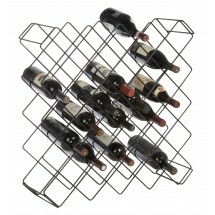 Wine racks are a safe and sure way to store wine in your home or restaurant until ready for opening. 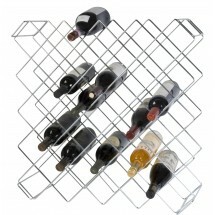 With a horizontal angle, these racks provide the perfect solution for wine storage enabling the cork to remain moist and swelled which will prevent unwanted air contact with the wine. In addition, any sediment will fall on the side of the bottle, away from the cork, so it won't get in the way when you are ready to pour wine for your customers.